How Business intelligence Enhance Start-ups' Productivity ? How Business intelligence Enhance Start-ups' Productivity? One of the most talked about technology in today’s world is Business Intelligence (BI) that has brought a revolution in the way business is done these days. Business intelligence is a set of technologies and methodologies which let businesses to transform the data they produce on an operational, day-to- day basis into meaningful information. In today’s context BI is even more relevant because current enterprises are sitting on a landmine of data. These data can be generated from various departments, various softwares, cloud applications; social media etc and it could be structured or unstructured. However with the help of BI, this data can be managed and meaningful insights can be extracted. Usually BI is considered as complex, expensive and designed specifically for large companies that can afford dedicated IT teams to manage software and interpret data. However, now there are BI tools that can be very useful for SMBs or start-ups as well who are looking for a solution to extract meaningful insights from their data? These tools are not only cost affective but come with no learning curve, thus there is no need of separate IT team. There are such tools like Helical Insight that are not just affordable but also a boon for SMEs and Startups. Why Start-Ups should use these Business Intelligence Tools? Time optimization -In the start-up world today, enterprises tend to have a smaller staff with more technical problems and more issues to solve. This leads to wasting of time in solving the technical problems and less strategic business planning and the decisions are made more on the fly. Startups and small companies often don’t have very clear cut roles and everyone dips their hands into all kinds of work resulting in less strategic efficiency. With new BI technologies like Instant BI of Helical Insight, which uses machine learning algorithm to fetch insights just by merely typing business questions like ‘What are the sales today?’ people without any technical knowledge or training can use BI. Also the time required to get the insights is drastically reduced and there is no dependency on the developers. Increasing market share – Business intelligence can help a small business to compete with larger businesses and increase their market share. Usage of BI can provide insights like the cost of acquiring new customers, which is the most cost and time effective channel of acquiring customers, acquisition cost, revenue per client etc. Instant Access – For start-ups, Mobile BI might be more common and practical platform than traditional desktop or laptop computers. Using mobile BI, start-ups can have quick and easy access to reports and visual data. One can access data outside the office especially when there is a meeting with vendors, clients etc. Easy to use and affordable – BI tools are getting evolved rapidly. New technologies like open source, cloud, mobile BI and new visualization technologies are making BI tools much friendlier to the start-ups. Also today open source BI tools like Helical Insight are able to provide enterprise kind of features like any other traditional proprietary BI tools at a fraction of cost. Also open source BI tools also come with a community version which is free, thus allowing cost conscious customers to build analytics for free using the community version. Predictive analytics – Predictive analysis can help start-ups to find new trends and opportunities using competitor analysis and gap analysis. Analytical tool like R, Minitab can be used in collaboration with BI tool like Sisense, Helical Insight to get the right kind of analytics to the right person at the right time. Operational Efficiency – Vital key performance indicators and real-time business metrics can help a start-up to be more efficient. 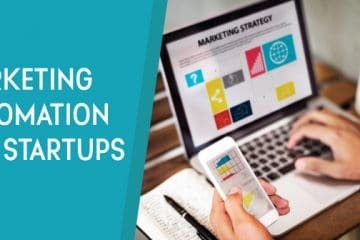 With alerting kind of features, start-ups can go from a reactive mode to a proactive mode with their BI solution sending them alerts over emails / sms of any variations, thresholds etc. By now most of us know that it is good to use data, but we are still not sure how we can use it effectively. And now-a- days using it effectively means giving access to anyone in the organisation because creativity and insights are done collaboratively. Companies should encourage their employees to do analytics on their own terms. But to do that, you need user friendly and robust business intelligence software like Helical Insight. Do share your thoughts in our comment section below.